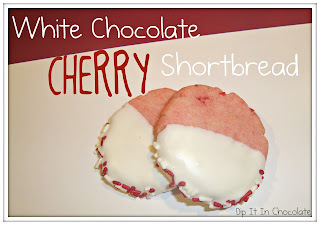 This was definitely my favorite new cookie recipe of the Christmas season. I honestly don't know why I gave any of them away. 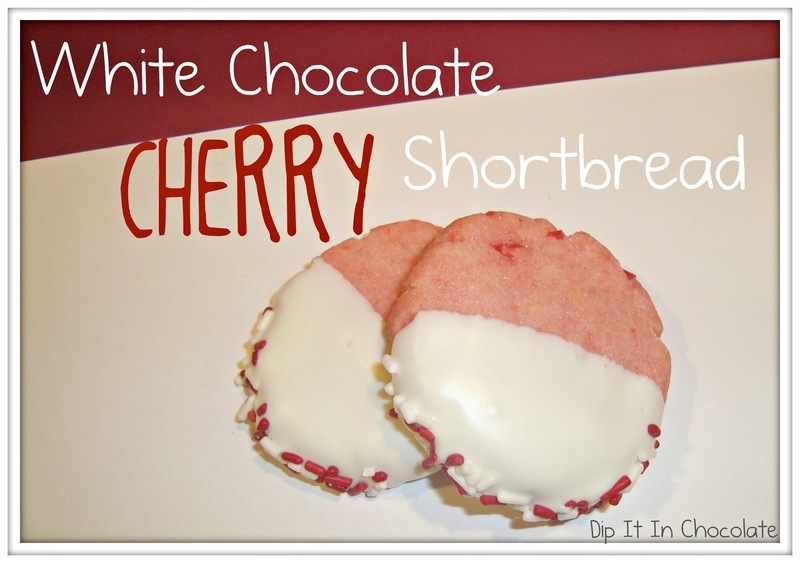 While I'm not a big cherry OR white chocolate OR almond flavoring fan... something about this combination just stunned me. Also- do you want to know what's a little bit ridiculous? At the time I made these I had like SEVEN pounds of Walker's shortbread in my pantry. Seriously, the big Costco tin costs like twenty dollars and has NINE full packages of cookies in it. And I didn't regret it for an instant. Oh, and by the way, there's only one package of Walker's shortbread left in that tin. 2. In a large bowl, combine flour and sugar. Using a pastry blender, cut in the butter until mixture resembles fine crumbs. Stir in drained cherries and 4 ounces (2/3 cup) of the chopped chocolate. Stir in almond extract and food coloring. I actually used red gel food coloring because it's all I had, so your color will be different than mine. Knead mixture until it forms a smooth ball. 3. Shape dough into 3/4-inch balls. (I used a #40 scoop and got half as many cookies that were twice the size- definitely less work! Since they are smushed flat before baking they will cook for the same amount of time). Place balls 2 inches apart on an ungreased cookie sheet. Using the bottom of a drinking glass dipped in sugar, flatten balls to 1-1/2-inch rounds. 5. In a small saucepan, combine remaining 8 ounces white chocolate and the shortening. Cook and stir over low heat until melted. Dip half of each cookie into chocolate, allowing excess to drip off. If desired, roll dipped edge in nonpareils. Place cookies on waxed paper until chocolate is set.